Team Vienna Games is a boutique games developer working on social and web based games. 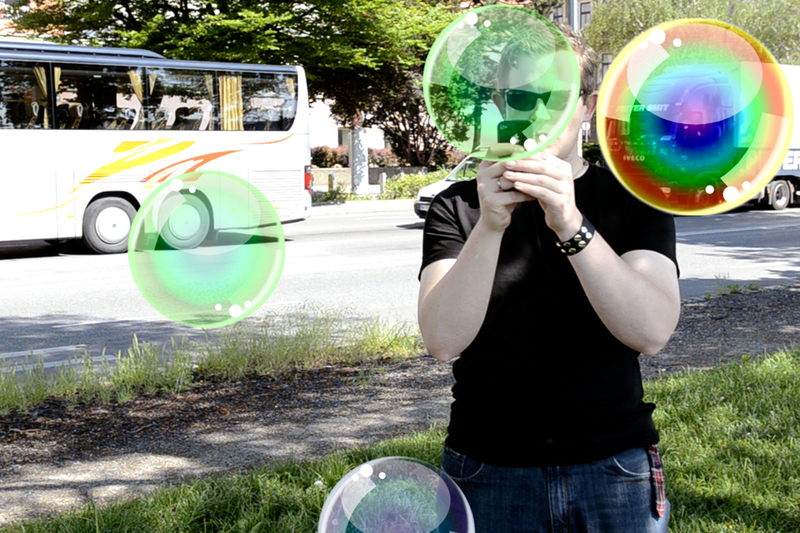 Looking to the future of gaming, the team sought to take the next step, and with Wikitude, entered the Augmented Reality games space with a game called “Bubble Tap”. 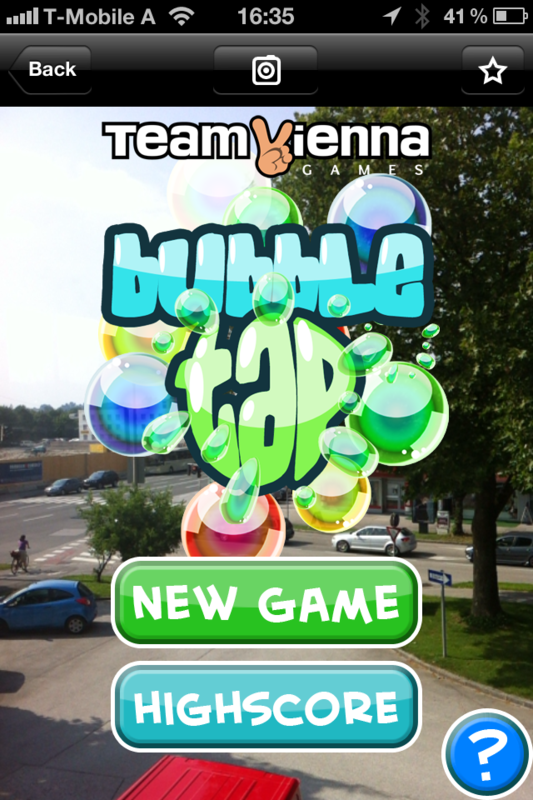 Bubble Tap was developed exclusively on Wikitude by Team Vienna Games, (MMO 7Million, Facebook Zombiees!) whose founders are former staff members of Rockstar Games. 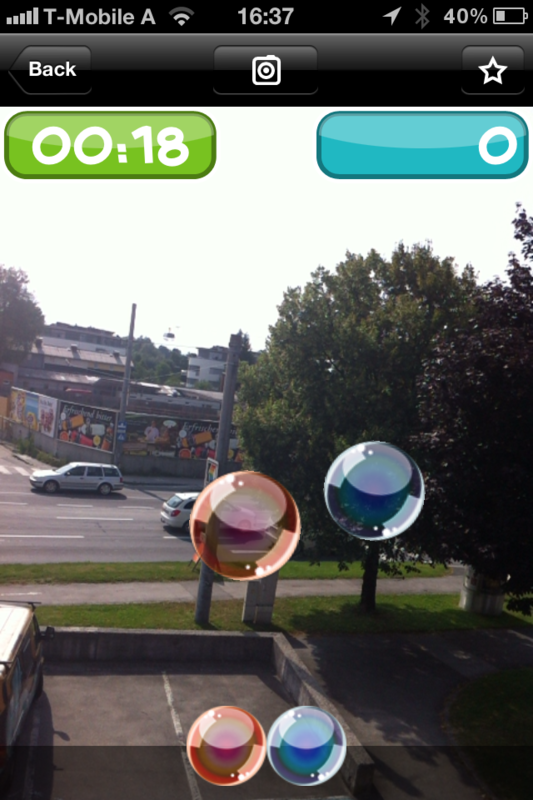 Bubble Tap features a fun and engaging interface that invites users to pop a series of bubbles floating around them. As the player progresses the difficulty increases with longer series to pop, causing the player to become more and more physically involved with the game. Not just your standard “Tap and Pop” – Bubble Tap in AR utilizes a 360° gaming surface with players having to physically rotate to get higher scores. Bubble Tap is available on Wikitude for both iOS and Android.